Our AGM will take place on 6 August 2014 @ 18:00 at the Lapa to have your say on possible changes to the rack, or not. And to decide who must represent your paddling interest at MBYBC. Currently there is only one nomination: Hanno Otto, he with his wife Sonja are owners of Trisport, professional events organisers based in Glentana. We (as the constitution required) gave 14 days notice of our section AGM, and the AGM date of 6 of August 2014 is again as constitution required 21 days before the MBYBC AGM. I, Danie Smit, will stand as rowing rep if the position is confirmed by the AGM & Rear Commodore and if no one else will stand. Rear commodore, who should organise and attend the HPC monthly meeting and attend the MBYBC monthly meeting. This position requires a two year club membership. I will propose that we have a coastal rowing rep, and I will volunteer for that position, even though I no bugger all about rowing, if no one else is prepared to stand for HPC RC, I will stand this year again, and try to do a better job as the past year. If you want to be part of the HPC AGM, please ensure you have paid your HPC Membership this year. I will propose that the AGM approve the propose changes to the rack in order to provide more accessible places to more craft, to promote regular craft usage. Please log all your trips in our logbook, it’s the only proof of your crafts activity, that could influence the accessibility of your craft in the new club year, in the HPC logbook in the blue post box on the west side of our rack . The logbook reflect the following HPC section activity, we added a development column in our logbook to proof the number of first timers that we introduce to our sport. The June 2014 meeting was cancelled as no one else could make it. The AGM is in place of the July Committee meeting. Agenda points proposal for our first HPC AGM on 6 August 2014 @ 18:00 at the Lapa, if you have a interest in paddling and or rowing please come and join us! Its to late to change the section name, sorry. We would have to give all the members 21 days notice if we want to change the name the 2013 MBYBC AGM approve. I am very keen to promote coastal rowing, with all the physical benefits of rowing, by exercising your legs, I propose that we stick to the HPC name. I propose we should change the rack as proposed; it will substantially improve the accessibility of the top level. 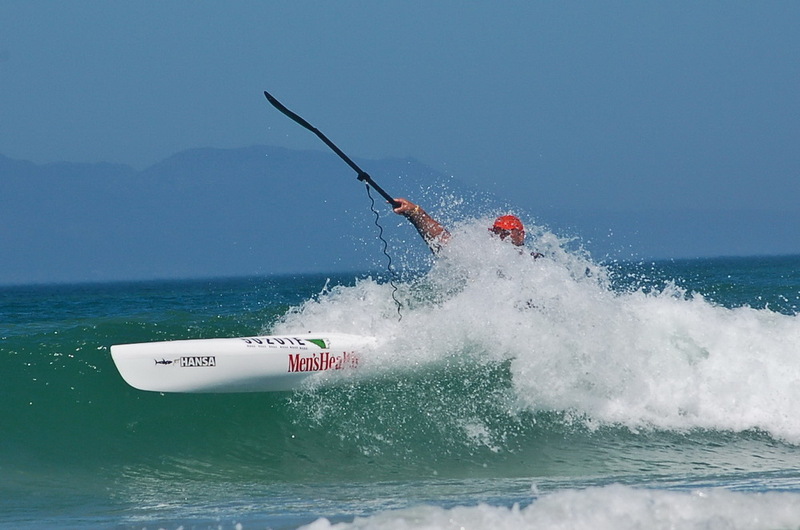 How should our section committee look like / what positions: Currently we have for the surfskis Kobus, for kayak fishing Jaukie, for sea kayaking Danie and as rear commodore HPC Danie. Should we add a rowing representative and market on Facebook, WhatsApp and MBYBC website? Responsibility, Secretary, Treasurer – any volunteers for these jobs? Please indicate your interest to serve on the section committee for this coming club year. HPC members, should we insist that every member of MBYBC that store their craft on our rack must be a paid-up member of the HPC section, like we had to pay membership to the sailing section, before the HPC section was formed? Should we place that before the MBYBC AGM, or in the hands of the new MBYBC committee to ensure fairness to our sections? Rear commodore HPC, please any volunteers? Any one interested to drive this at MBYBC? 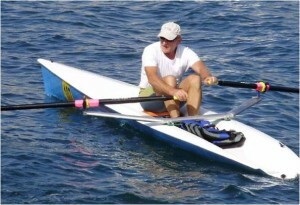 A purpose build one person coastal rower, any sponsors for a boat and oars? 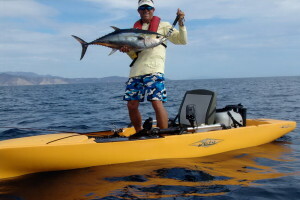 Contact Jaukie (083-2622307) if you looking for angling buddies!